A San Diego police officer and his wife recently pleaded not guilty to accusations that they trashed their foreclosed home in Riverside County, taking $44,000 in appliances and fixtures with them when they moved out. Both have been charged with one felony count of damaging or carrying away items from a foreclosed property. Damage was estimated at over $165,000. If convicted, they could face up to four years in prison. As reported in the Press-Enterprise and the Signon Sand Diego, the damage included stones smashed off the facade, dye poured on carpets, wiring pulled out of walls, spray-painted the walls, cut and chopped-down shrubs tossed in the backyard swimming pool, and pulled out electrical wires and cut them. Robert Acosta is a 12-year veteran of the San Diego Police Department and served eight years in the U.S. Marine Corps. San Diego police officials said Acosta is on administrative leave. 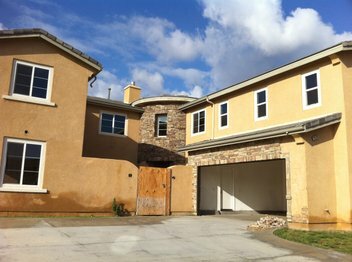 Riverside County authorities said this is the only case they can recall in which a former homeowner has been charged with a crime for damage to a foreclosure. A witness saw the Acostas June 12 removing items from the home, court records state. Later, investigators recovered $7,920 in stolen property, including appliances, chandeliers, shutters, iron gates and exterior lights in the Acostas’ storage units in San Diego County. While a likely majority of homeowners in Arizona will be protected by the anti-deficiency statutes in the event of a foreclosure, if a homeowner causes "waste," the lender can seek recourse against those borrowers. It will be interesting to see whether criminal charges become more prevalent as the foreclosure crisis continues.